DIRECTIONS: This cemetery is located on the Merriam Forge Road. It is on private property currently (2009) owned by Bill Johnston. This cemetery was transcribed and photographed 7 July 2009 by Joyce M. Ranieri. Many thanks to the Westport Town Historian, Betty Hadley White, for taking me to the cemetery! Click here to see a general photo of this cemetery. The current property owners had the large obelisk moved forward several feet to prevent it from toppling down the hill and breaking. For information on the Merriam family, see Bessboro: A History of Westport, Essex Co., N.Y. by Caroline Halstead Royce, page 347. (NOTE: This stone is very difficult to read. 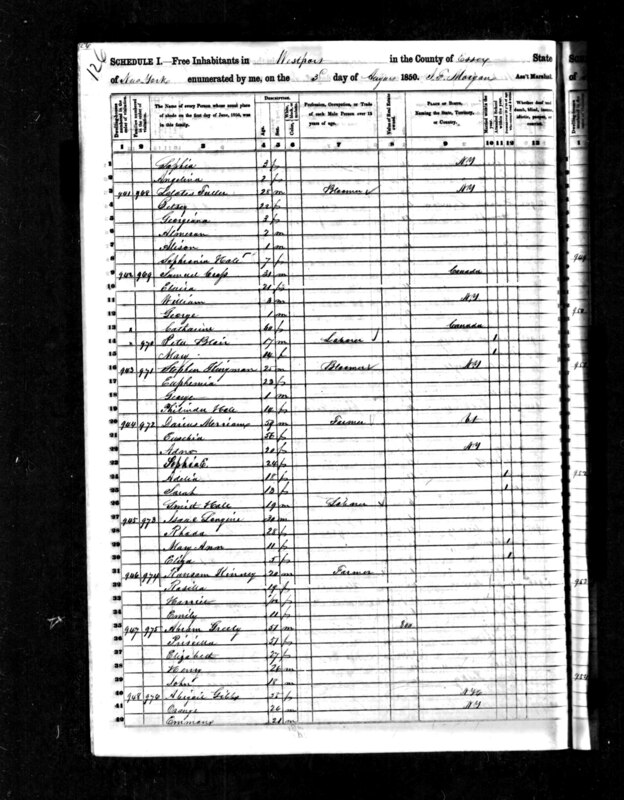 Darius MERRIAM is found on the United States Census for 1830, 1840, and 1850. According to the 1850 United States Census for Westport, Darius was 59 years old. That means his birth year would have been circa 1791. If the age at death of 71 years is correct, he would have died in 1864. None of the dates seem to fit! I did not find him on later census records. I also checked Ancestry.com and found an undocumented death date of Dec. 1, 1859 caused by cancer of the stomach. NOTE: I received the following information from Betty White, Westport Town Historian via e-mail in Jan. 2011: " In the old Baptist Church (now the Heritage House) the stained glass windows each have the names of persons whose families "bought" them in memoriam. One of them says: Darius Merriam Died 1859 age 70; and Mrs. Euseba P. Merriam Died 1857 age 64." T. H. & C. A.